The Motorola Droid X has seen a lot of press lately after its successful launch, screen issues and a small matter surrounding eFuse technology. Today, news comes from the Droid X Forums signalling the high powered Android handset has been rooted, allowing users to remove pre-installed junk apps and theme their phones as they wish. 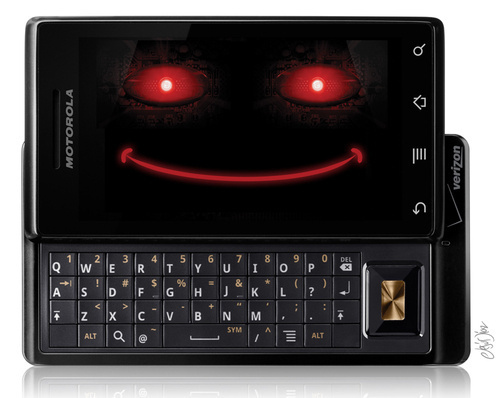 You might have remember the eFuse fiasco, stories centering around a technology that would prevent Droid X owners from tampering with the bootloader on the handset, restricting users to official Motorola firmware. Although owners will be able to modify their devices to a large extent, the rooting of the Droid X hasn’t paved the way for custom ROM’s, yet. WE HAZ ROOTS!. Thanks to Birdman. Here is the directions. It took just under a week to achieve root access, don’t be surprised if it takes the same amount of time to port a Froyo ROM on to the device. Please note: As always, exercise extreme caution if you are contemplating rooting your Droid X, we take no responsibility for any damage caused.